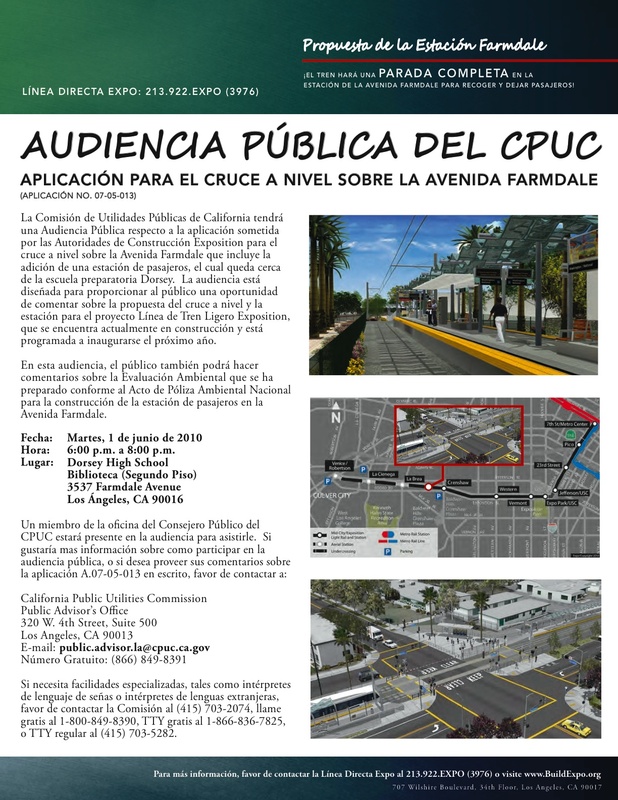 As the Expo Line is under construction between downtown Los Angeles and Culver City, there remains one street-level crossing that needs state approval: at Farmdale Avenue, adjacent to Dorsey High School in South L.A. The original plan for the line was to have the tracks cross Farmdale at street level without a station. To make a very long story short, both the Los Angeles Unified School District and some community members protested, saying that having the crossing next to a school would be unsafe. After many months of negotiating, the Construction Authority and the LAUSD have negotiated a solution: a station at Dorsey High School that will require all trains to come to a complete stop before crossing Farmdale. The station needs the approval of the California Public Utilities Commission, the state agency that regulates railroad safety (here’s a link to the proceedings on the Expo issue). 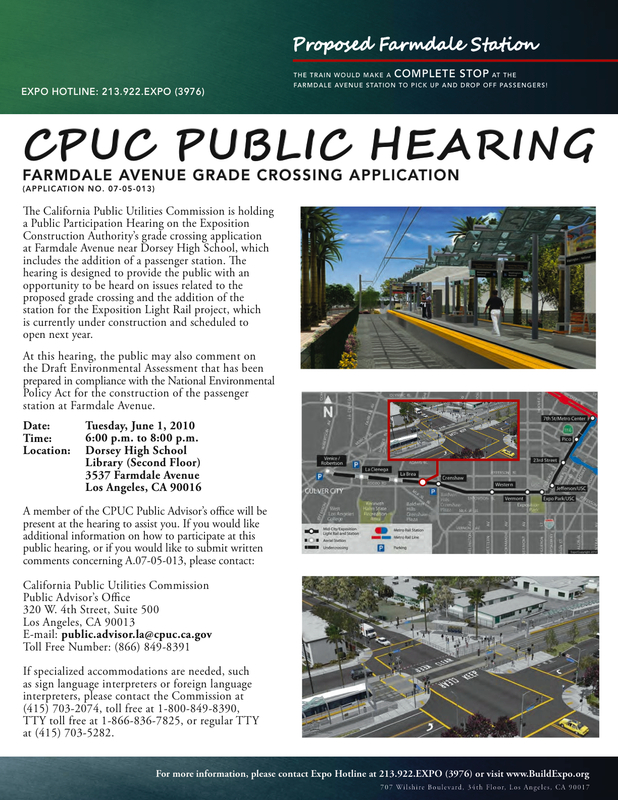 The flier below, from the Construction Authority, provides information on the PUC hearing on June 1 at Dorsey High. A Spanish version of the flier is affer the jump. Hey, what happened to all the buses?